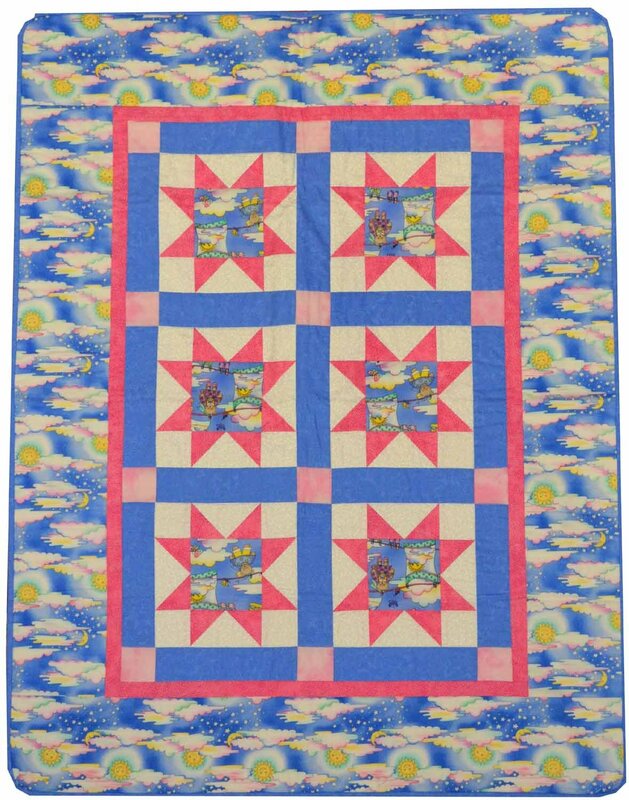 This adorable baby quilt is perfect for the little girl in your life. Machine wash and dry. Finished size: 34" x 44". Baby quilts are such great gifts! This is machine pieced and quilted, so it's perfect to use on the floor, in the car, or anywhere you go where you need to keep baby warm.